Minimalosity. Is that just a tad awkward? How far can minimalism go before it turns animosity? On their very handsome faces of it, Roksan's latest Oxygene component are sleek slick modern sculptures fit for a Modern Art museum. They seem inspired as much by Apple as by Resolution Audio. Ultra attractive. Those companies combine less-is-more aesthetics with more-is-more featurization. Roksan would instead send us up Mt. Everest to breathe thinner air. The CD player hasn't got a single digital input to wire up a PC, digital iPod dock or other de jour devices. It's got coax and optical out. Unless Roksan bow a DAC, those sockets are useless. If one meant to stay in style. And who wouldn't to instead cobble together a rig mismatched on looks when one starts out this trick? You can't program a track sequence or random and repeat either. And there are no time-mode display changes. Nor does the gorgeous all-metal wand offer direct track access. You must—how quaint!—listen to a disc beginning to end. Though—hola!—you may skip tracks in either direction. The matching Hypex integrated has three ins and one out. The latter welcomes a subwoofer, routine mate of compact systems. It only feeds on bananas and naught else. In the virtual world of wireless though, a Bluetooth antenna supports 16 reception channels. Proudly emblazoned Less is More, those famous words are engraved topside. It's how one skips tracks on the 24/192 CDP. 'is' tapped lightly goes pause. Tapped longer ejects. On the 75/150wpc into 8/4Ω integrated, the same finger routine ups and downs volume. 'is' becomes short for input selection, then one toggles with less or more. Fashionably white LEDs peek from behind a perf grid in dot-matrix fashion. How to dim or lighten both decks in tandem? This is the stuff of animosity should one start off mismatched as I did. The same remote operates both units without a brightness reset. How to rein in an errant display? Hint - towel one front to kill IR reception, then adjust just one. Presto. Color choices includes white, black and silver. In their quest to abolish all buttonry—power rockers stick to the bellies ahead of the front right footers—Roksan's touch-sensitive less-is-more mantra could strike some as just slightly precocious. What if you stack this kit but mislay the wand? Getting at the lower deck's three touchy-feely trigger zones becomes decidedly inconvenient now. And why wouldn't you stack this kit? Its narrower than standard width already champions compactness. Two up is more compact than two side by side. Hence my just a touch prickly undertone. 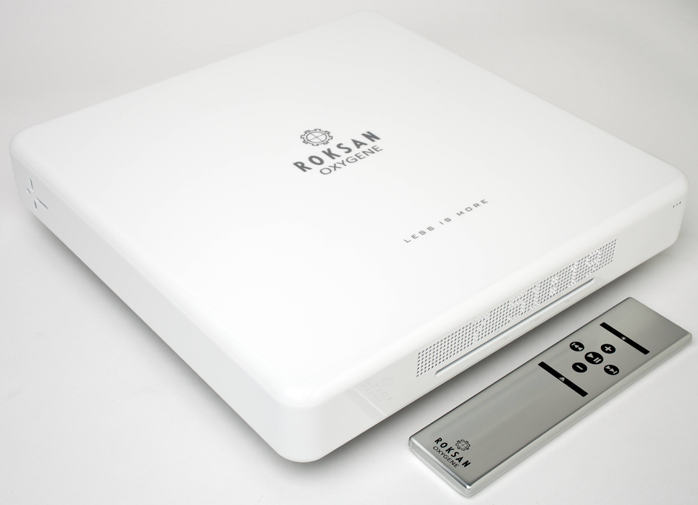 Roksan's scheme is precariously close to less is less for the digital deck. The folks responsible are Danish architect Bo Christensen and painter Niels Bjorndahl. Their company Artora Audio reportedly invested a solid $1.000.000 of R&D into this range before fiscal duress stalled them. By acquiring Artora, Roksan secured their industrial design for an entire series but had to finish off and improve internal circuits to complete things and elevate them to Roksan sonics (Bo Christensen is best remembered for his work with Bow Technologies and Primare). 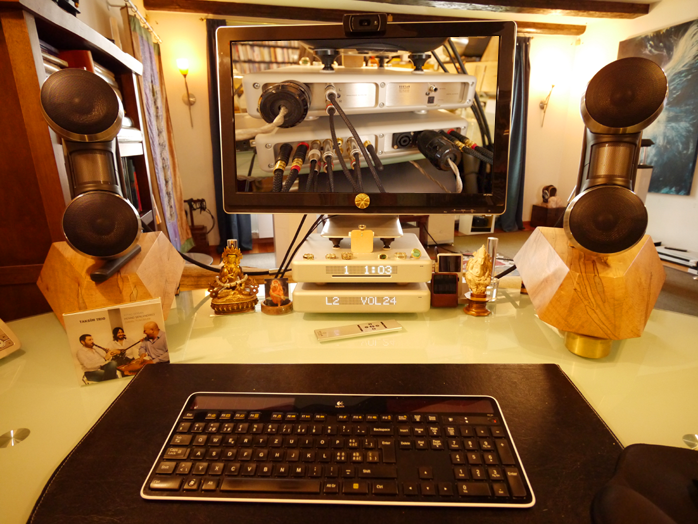 Lack of USB or coax input (to accept a USB bridge like the Audiophilleo 2) makes the desk top a no go for PCfi. More oxygenated product is apparently in the Roksan pipeline already. This will include an outboard PSU which links to the amp's Speakon plug and beefs up low-impedance stability to face more challenging loads. Also on the books are speakers; digital separates; and more potent amplification. 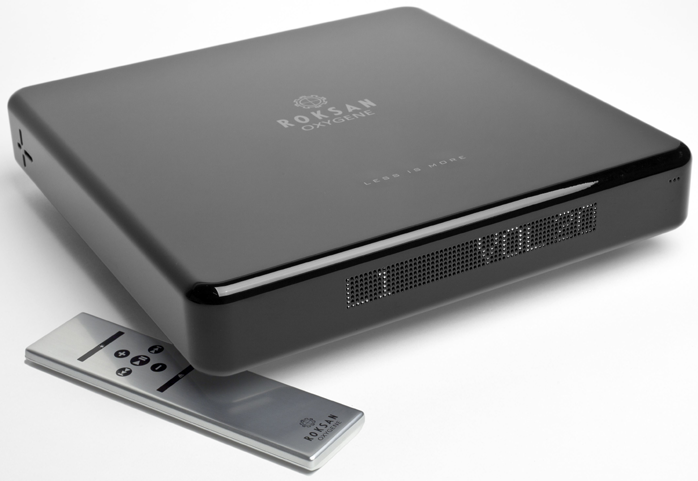 With class D untrod ground for Roksan, the choice of Hypex over ICEPower signals a keen sense for the most current state of affairs in this sector. To wrap up our intro, exterior minimalism on an amp which merely needs volume and input control is a thing of real beauty. Be thy gone, rotary volume knob. Good riddance rotary input selector. With a CD player however, some could bemoan the loss of certain conveniences which the remote control could have readily added but didn't. As any woman knows, there's always a price to pay for beauty. The lack of digital input is particularly sad for those who primarily rely on streaming but love to have a legacy spinner for backup duties.